International press reports stated that the vehicle they (Walker and Rogas) used suffered a mechanical breakdown in the steering wheel because there was evidence of fluid leakage before the tire marks at the scene. A professional motorcycle racer said that he heard the details of a conversation Walker and Rodas had before they were involved in the accident. He said the car, a Porsche Carrera GT, was driven by Rodas, and it is believed that the car had mechanical faults before the accident. 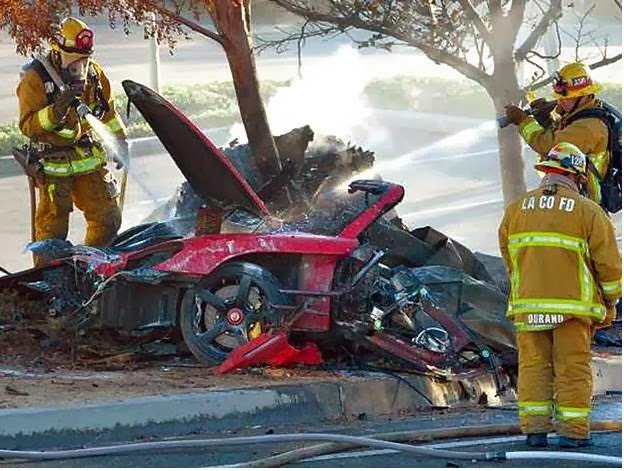 Roger told Walker that the car was in damaged condition, and that he wanted to test drive the car on the road. Walker insisted on going with him. I really know Walker and Rodas. They are not people who like to drive cars with excessive speed, although Walker raced cars in the movies. Rumors which say they were involved in a race are not true! The Walker family protested vehemently when people claimed that Walker and Rodas were involved in car racing. When an accident occurs, a Closed Circuit Television (CCTV) at the scene records the incident. The CCTV video shows a car driven by Rodas suddenly skidded, hit a tree and burst into flames. At the same time, other drivers at the scene managed to record this accident, because they assumed it was just part of an action movie scene. These footages may be important evidence about the cause of the accident which is still under investigation.